Welcome to Augusta Motor Co, your Holden & Mitsubishi dealer in the Spencer Gulf district of SA. We are a tight nit family owned and operated dealership in Port Augusta with over 30 years’ experience in the motor industry. Augusta Motor Co is your complete Holden & Mitsubishi dealer with manufacturer compliant service facilities, genuine Holden & Mitsubishi parts and accessories as well as a great range of official Holden & Mitsubishi merchandise. At Augusta Motor Co, our service centre is staffed by factory trained technicians and utilises the current modern technologies to ensure you experience years of trouble-free motoring. Our Used Car department carries a selection of the regions finest pre-owned vehicles most of which have been sold by us and owned locally. 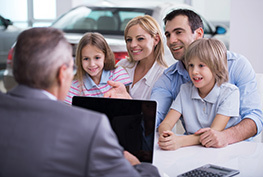 Talk to us before deciding on where to purchase your next vehicle, you won’t be disappointed. We have “on the spot finance and insurance” products available and can tailor a finance and insurance proposal to your specific needs unlike many other providers who can’t provide the same degree of range of providers and or flexibility of proposal. Come in today and see our latest range of new and used Holden & Mitsubishi vehicles available for immediate delivery. We look forward to providing you great service, so contact us today by phone, email or drop in.